Like people, cars can benefit from a little jewelry as a finishing touch. Automotive jewelry also serves to identify both brand and model names. Such usefulness has led to car emblems evolving to a high art form over the motorcar’s hundred year history. While emblems and scripts show a car’s make and model, they’re more than that. 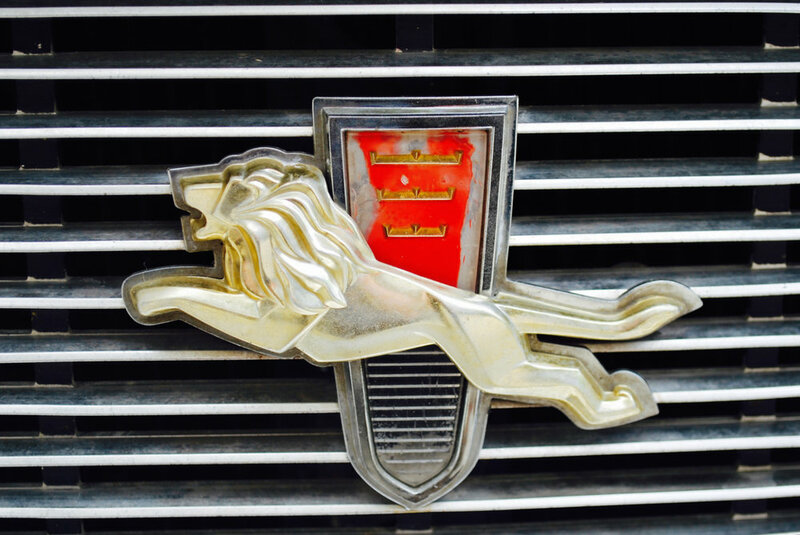 Like any well-designed logo, a car’s emblem gives clues about a brand’s nature. Is it a humble econo-miler, a prestigious, historic brand, or a racy sports car? Emblems can tell us much. 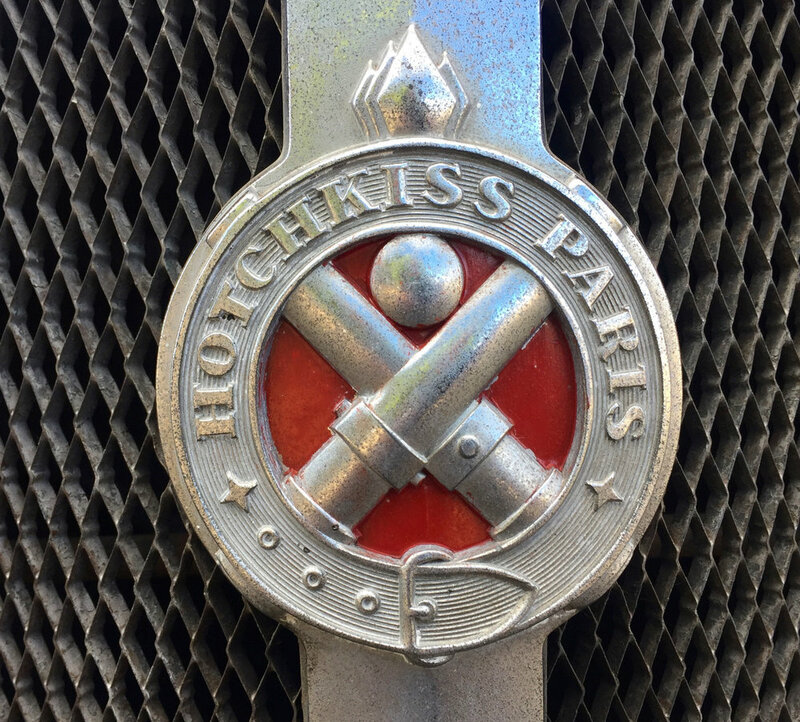 Emblems from European makers often remain fixed, decade after decade. 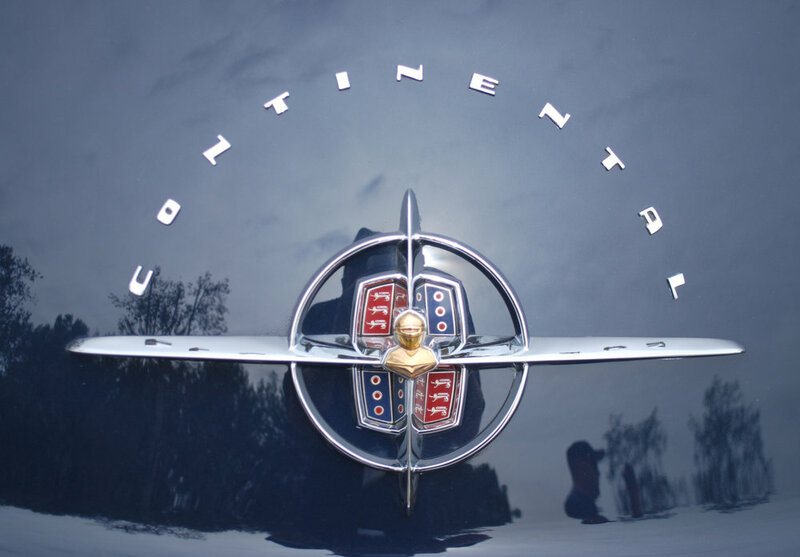 Heraldic crests and fancy cloisonné roundels evoke the storied histories of legendary brands like Alfa Romeo, BMW, or Austin-Healy, but here in the U.S.A., emblems are often imaginative flights of designer fancy that change more frequently. 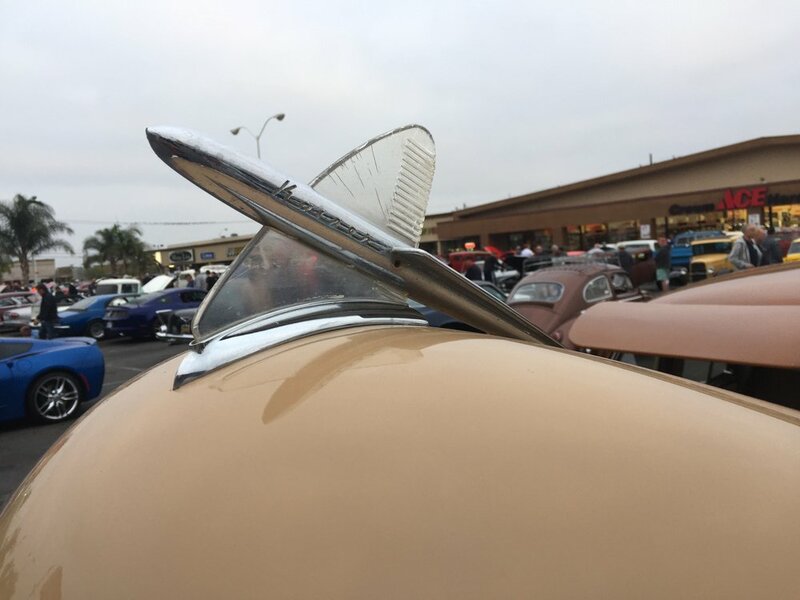 American emblems and name scripts were at their wildest during the mid-twentieth century when the decade’s soaring optimism brought us finned, chrome-bedecked wonder cars that demanded nothing less than matching space age jewelry. 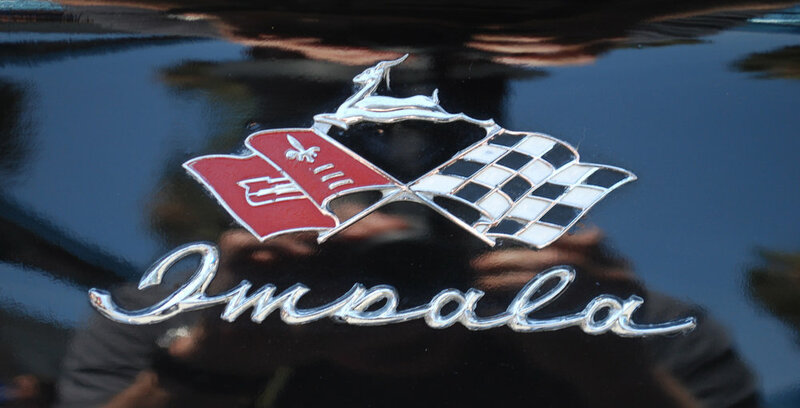 Though some icons, like the Impala’s depiction of its animal namesake combined with Chevrolet heraldic and checkered race flags appear quite literal, others, like Oldsmoblie’s “globe with Saturn-like rings” are more obscure. But in time, with repeated use, all such emblems become identifiable logos. Mercedes' restrained use of their three pointed star and block lettering infected many automakers during the last half of the 20th Century, leading to the death of fanciful starbursts, globes, and wild typography. While brands like BMW, Audi, and Alfa Romeo demonstrate the European mode of sticking with the tried and true, a desire for authenticity has led American automakers to revive earlier logos, as Ford did when it brought back its oval logo from the Model T days and Chevrolet has done with its famous “bow tie” logo. Customizers love to shave off cars' identifying marks. Makes sense, as they’re all about making a car over in their own style. But for the rest of us, cars can look naked without their jewelry. 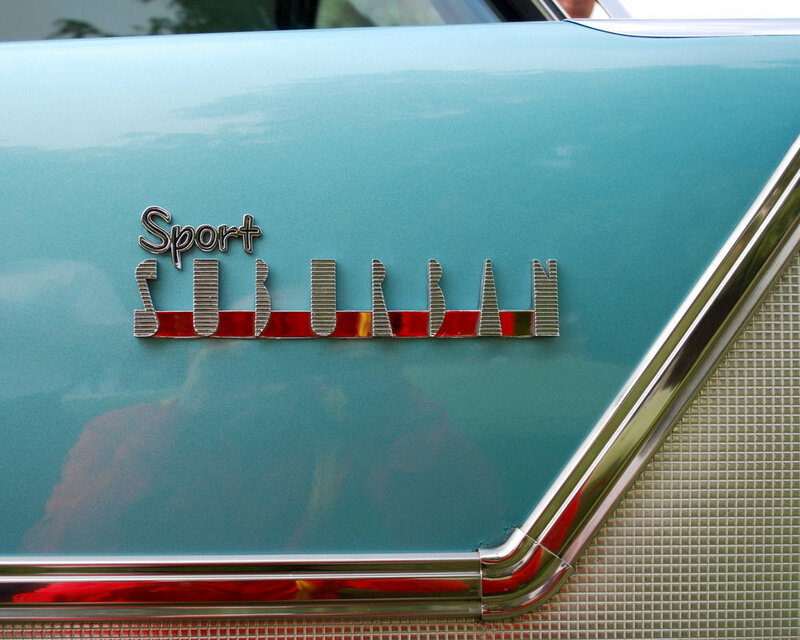 See the photos below to behold the glory of automotive emblems and scripts, from mild to wild.